Join me and the other ladies of Thread Cincinnati at Monkee's of Maderia TONIGHT! We will be there for a fabulous sip & shop starting at 6pm. The best part - you'll receive 25% off your purchase by shopping with us! 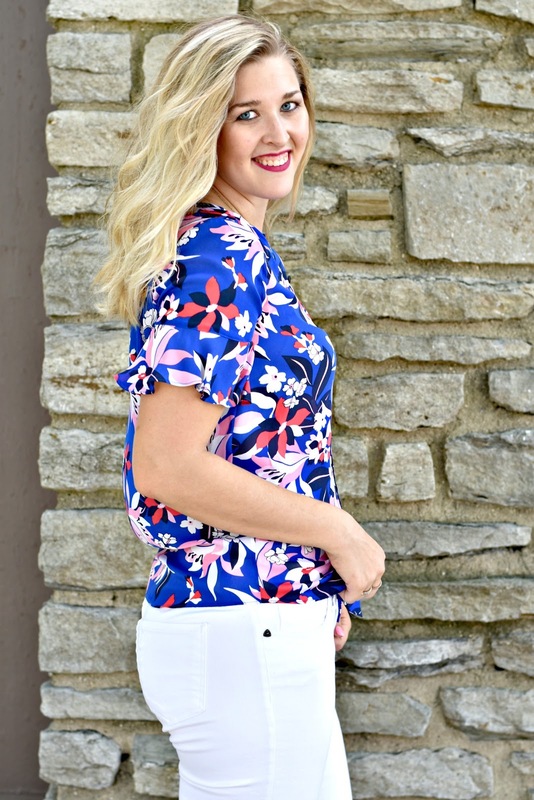 They carry tons of great brands like Draper James, Jack Rogers, LaRoque, Jude Connally, and more. These are some of my favorite pieces from Monkee's. This Draper James dress is gorgeous in person. Love the fun lace bell sleeves. It would be perfect for summer weddings. & Because Draper James is obviously a clear favorite of mine, I love this Draper James top. It's so comfy and I love the flirty floral print and flutter sleeves. They are located at 6928 Miami Ave # 3, Cincinnati, OH 45243. Come shop with me!